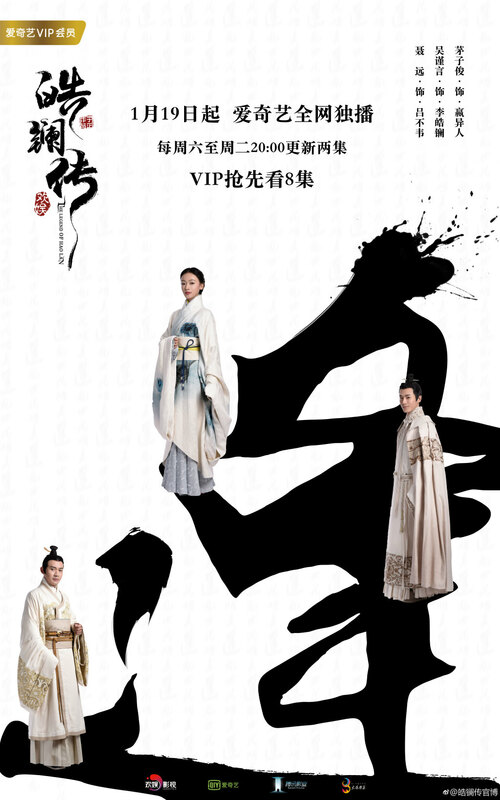 Upcoming palace intrigue drama The Legend of Haolan stars Wu Jinyan as Li Haolan, a former noble lady of the Zhao state who is first a concubine to merchant-turned-politician Lv Buwei (Nie Yuan) before marrying the future ruler of the Qin state Ying Yiren (Mao Zijun). The 63 episode drama will release two episodes every Saturday to Tuesday on iQiyi / MZTV beginning tonight. Members get an 8 episode head start.